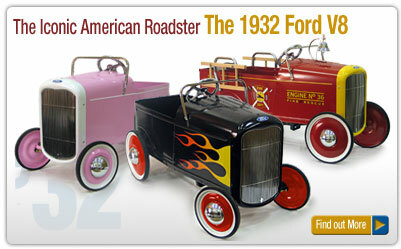 FordPedalCars brings you the highest quality, most unique pedal cars on the planet! 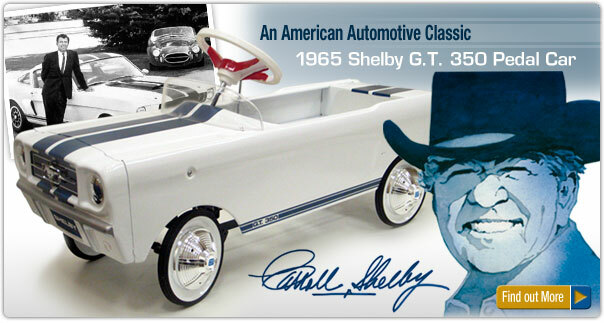 Featuring exclusive Ford-licensed products including the ‘65 Ford Mustang and ‘32 Ford Roadster pedal cars from Warehouse 36. 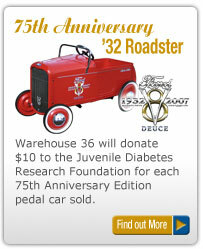 © Copyright 2006 FordPedalCars.com All Rights Reserved. Not owned by, or affiliated with Ford Motor Co.